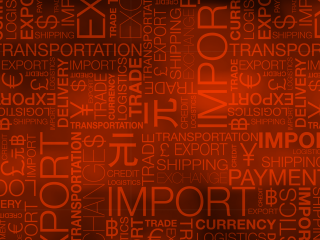 Thailand’s exports grew a greater-than-expected 7.1% year-on-year in March, but import growth was slower than expected, at 9.5%. The consensus forecasts were 6.0% and 11.6%, respectively. The result was a trade surplus of almost $1.3bn - double the $660m consensus forecast. Nevertheless, the year-to-date trade surplus of $2bn has almost halved from a year ago. 2017 was the first year in the last four years that Thailand's trade surplus narrowed; at $13.9bn, the 2017 annual surplus was down from $21.2bn in 2016. Our forecasts of 7% export growth and 11% import growth in all of 2018, imply a further narrowing of the surplus to $6bn this year. If all of this narrowing gets carried over to the current account surplus, the latter will come in close to $40bn or about 8% of GDP in 2018. That cannot be taken for granted, however. Despite a $7.3bn YoY narrowing of the trade surplus in 2017, the current account held steady at $48bn (10.5% of GDP). 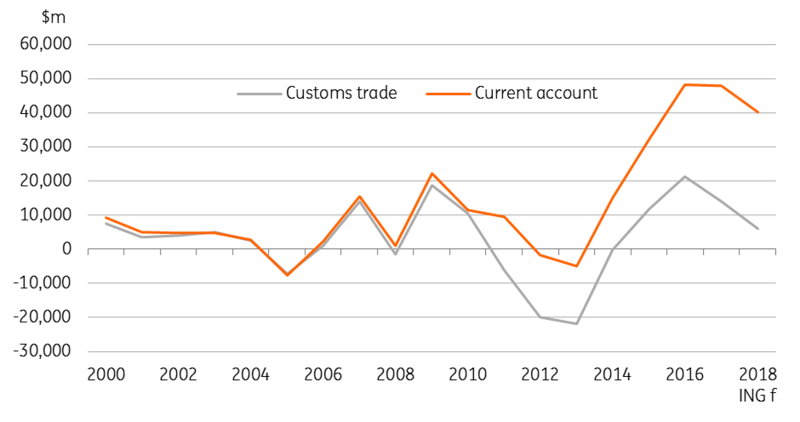 We view the persistent wide current account surplus more as a sign of weakness than a strength of the economy, signifying anaemic domestic spending. Yet this is the main source of the currency appreciation underway since last year. The Thai baht’s (THB) 4% year-to-date appreciation against the US dollar, the most among Asian currencies, comes on top of 10% appreciation in 2017 when it was the third-best performer (after the Korean Won and the Malaysian ringgit). However, THB appreciation has almost stalled since March this year. We believe re-pricing for a narrower external surplus and political uncertainty associated with delayed general elections will weigh on THB performance in 2018. We forecast a tight range trading of USD/THB around 31 through the rest of the year.